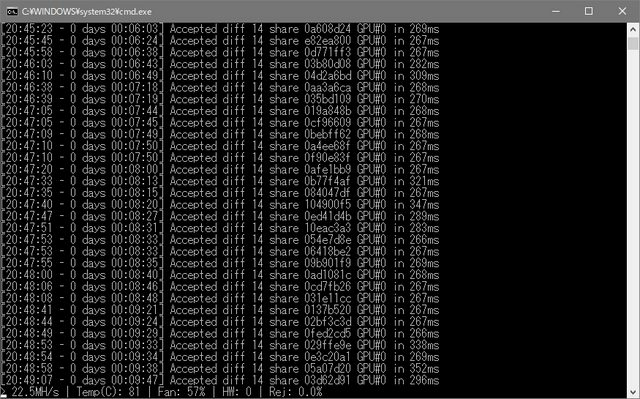 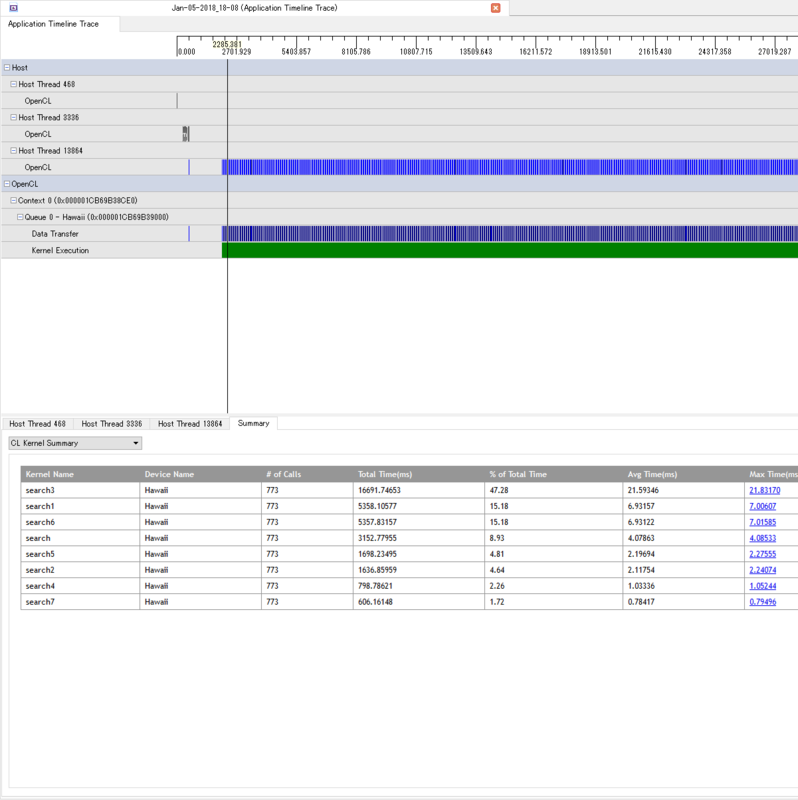 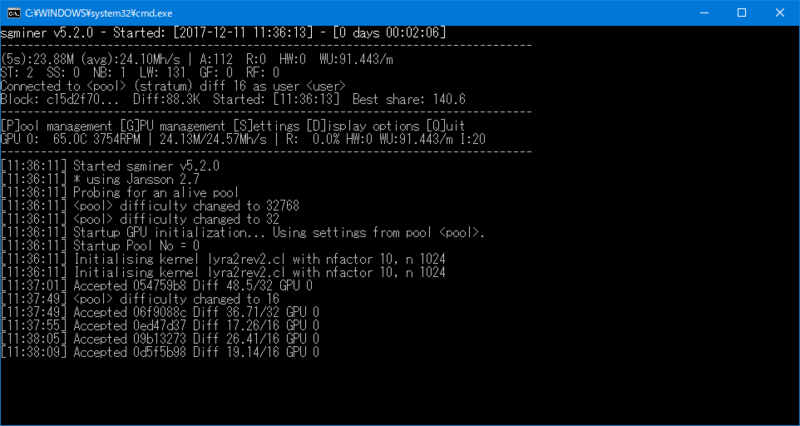 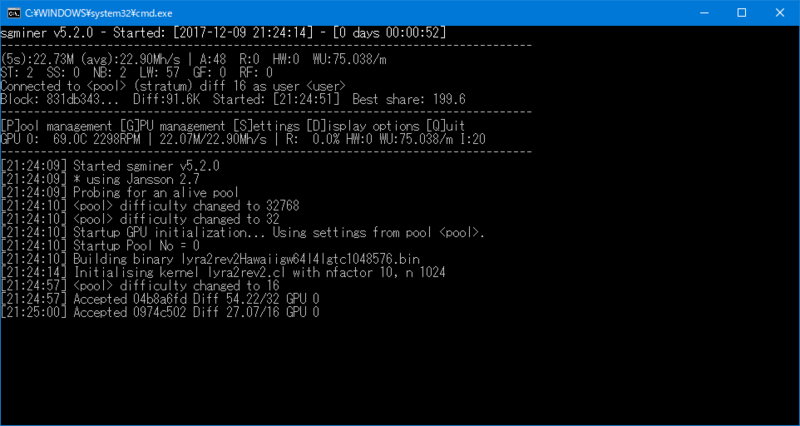 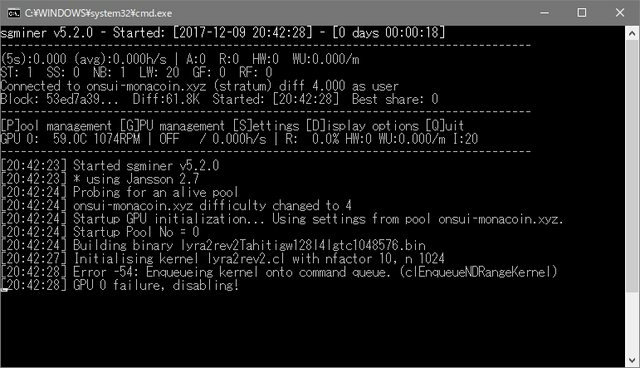 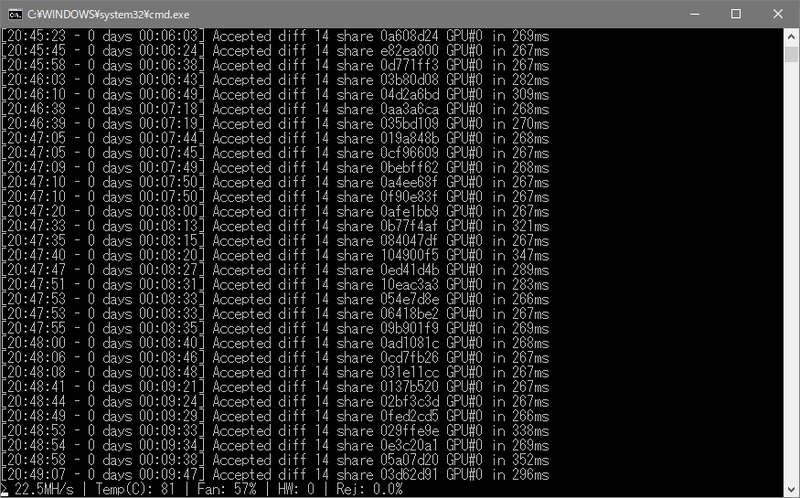 [19:58:11] Sorry, this release of software only works with nicehash.com pools. 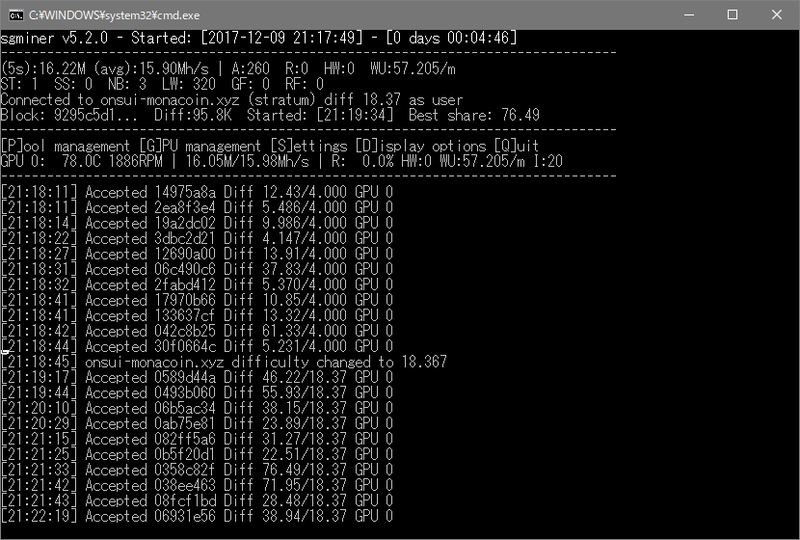 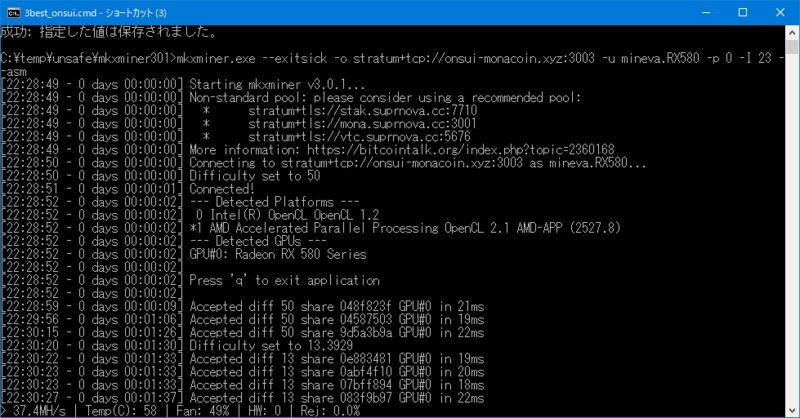 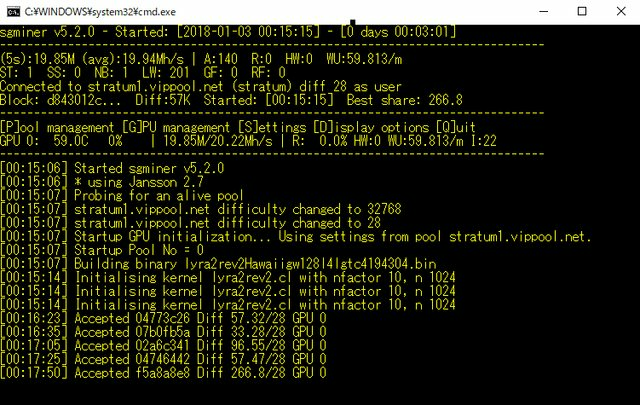 Try mining on stratum+tcp://lyra2rev2.usa.nicehash.com with your BTC address as login. 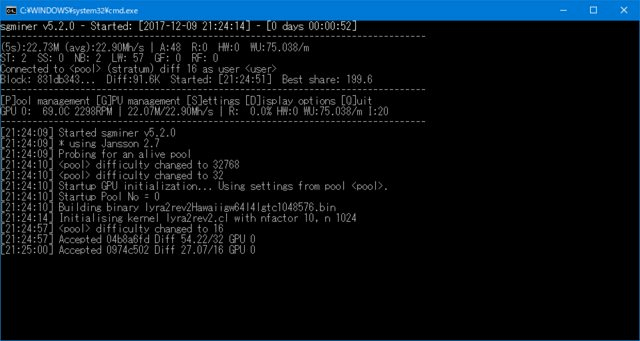 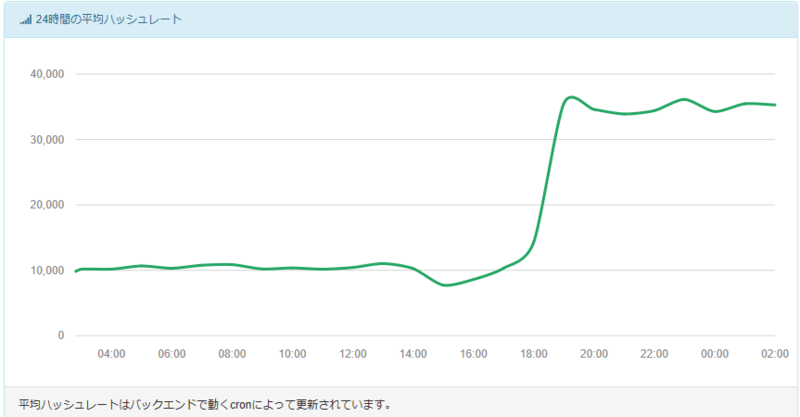 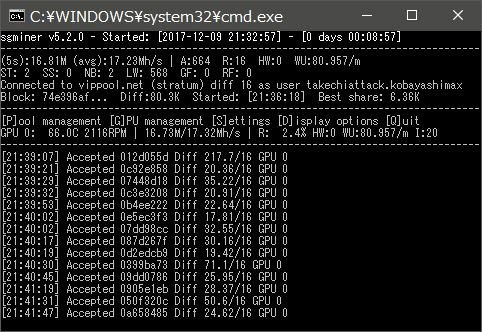 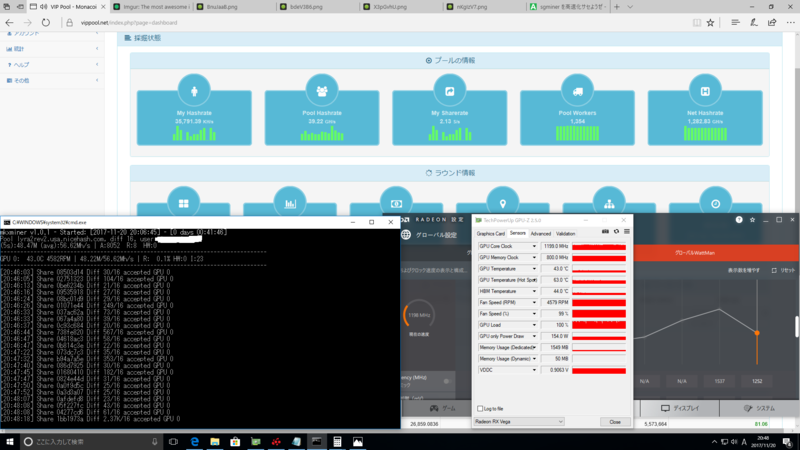 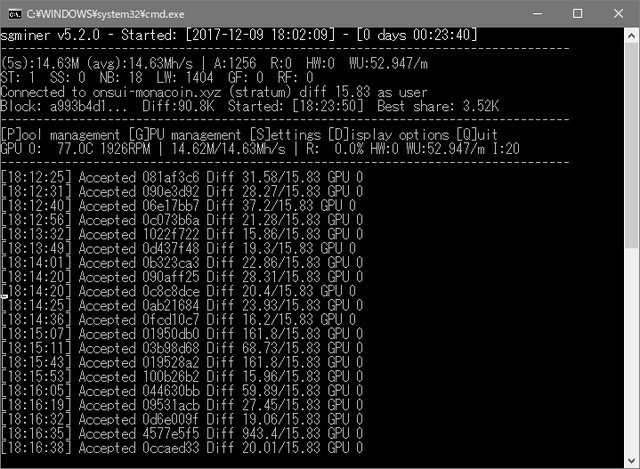 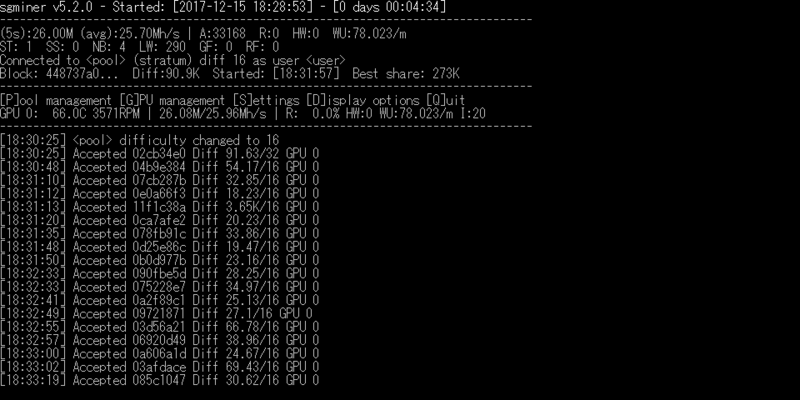 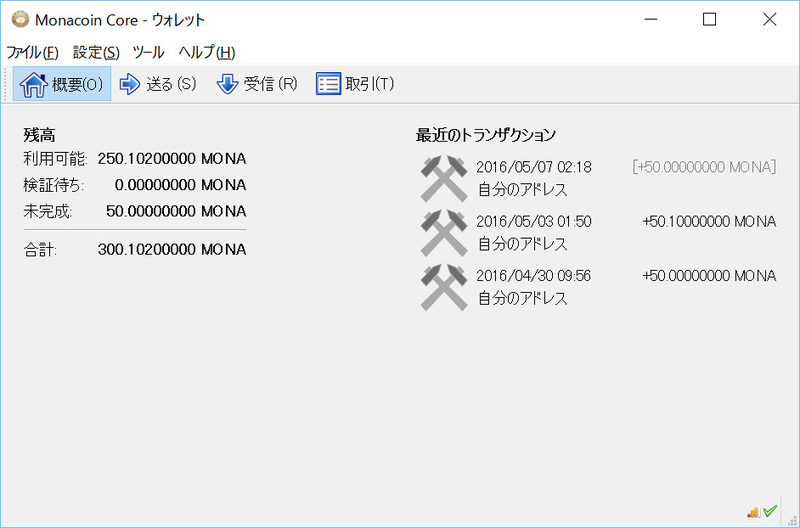 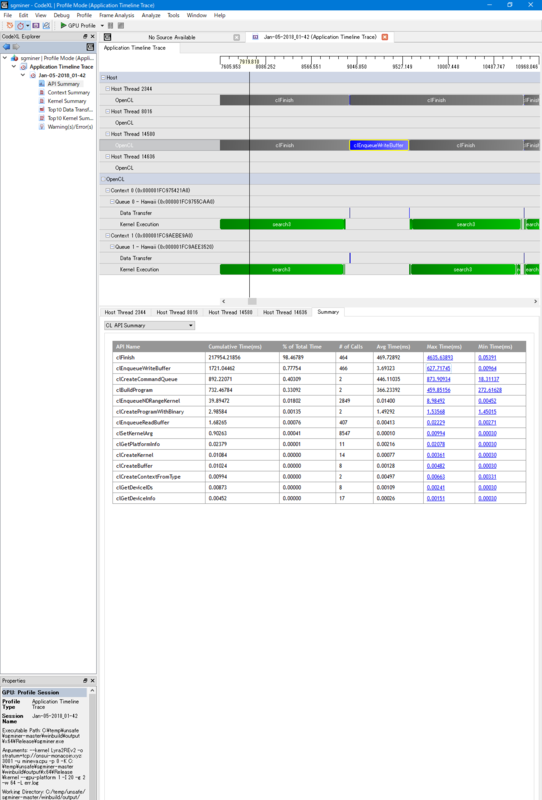 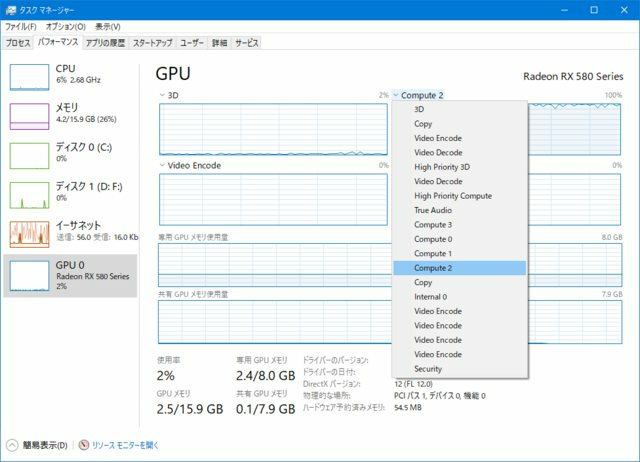 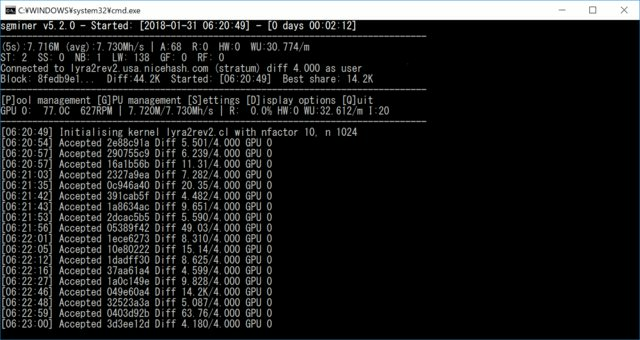 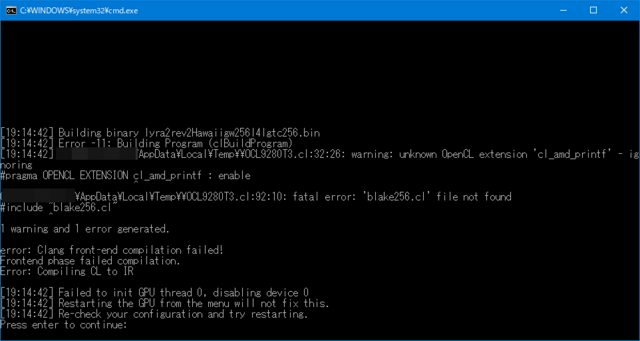 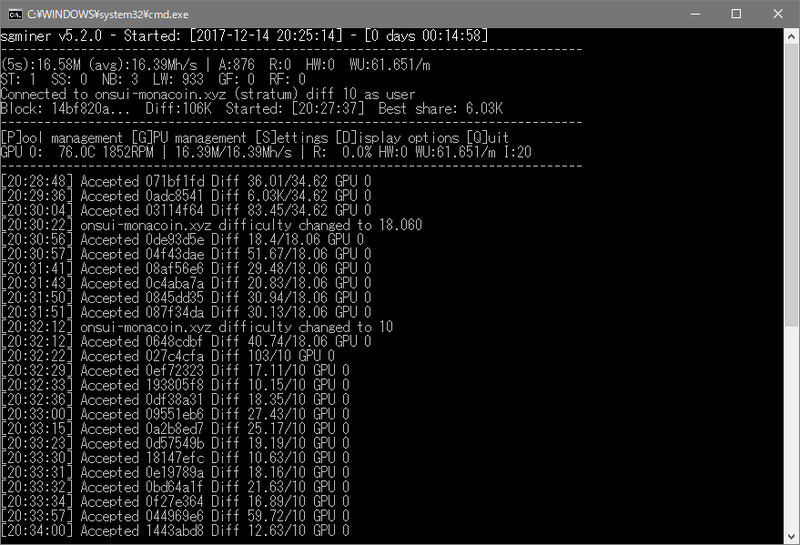 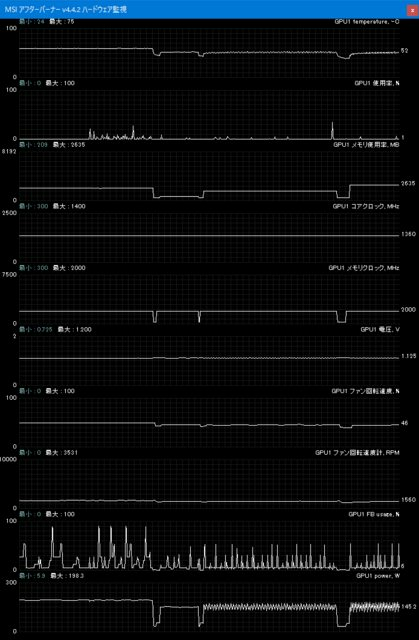 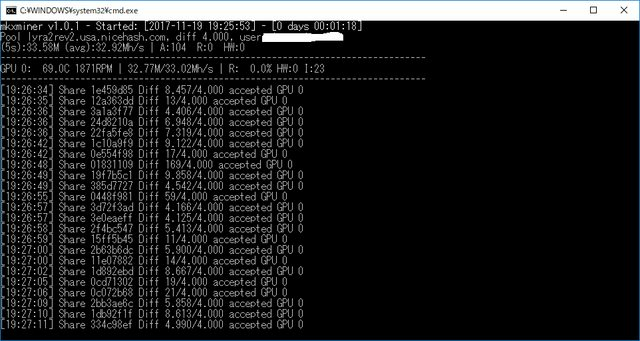 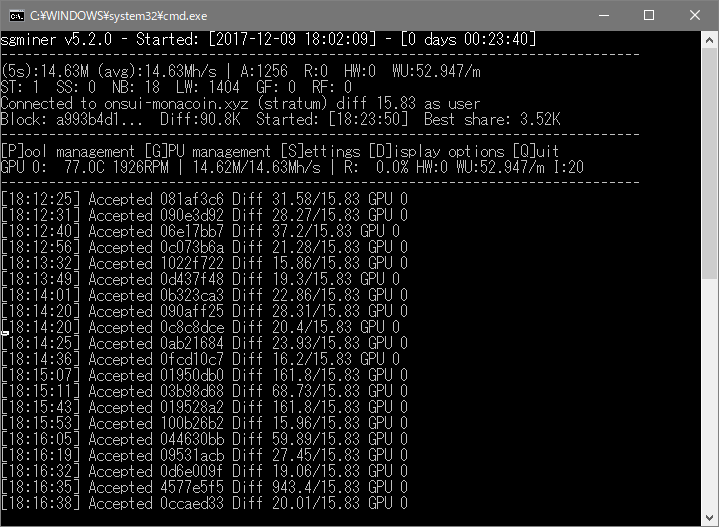 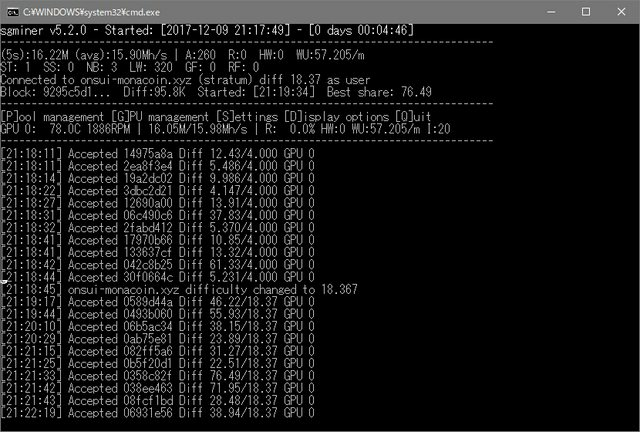 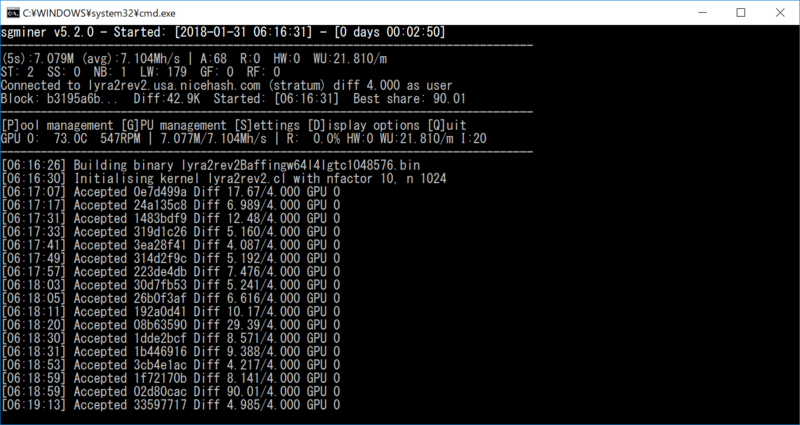 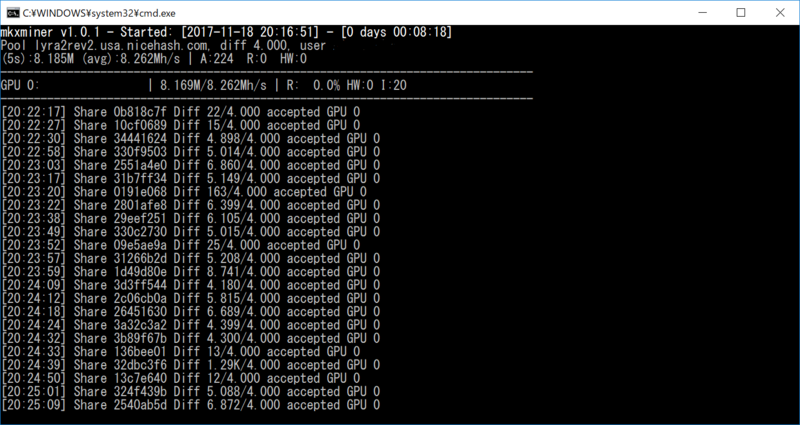 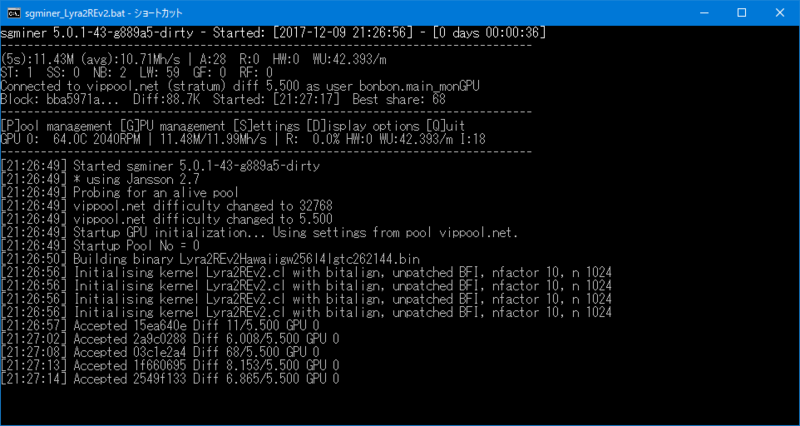 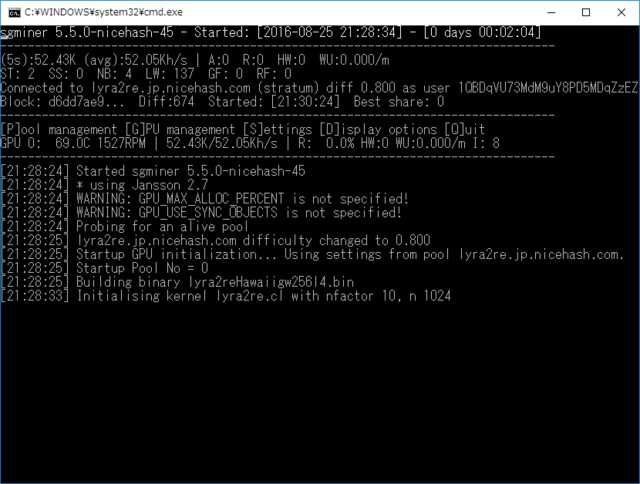 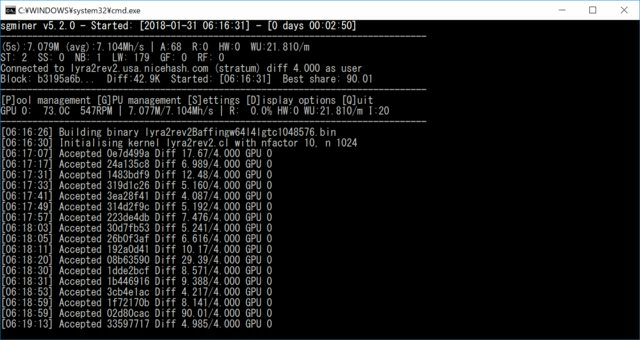 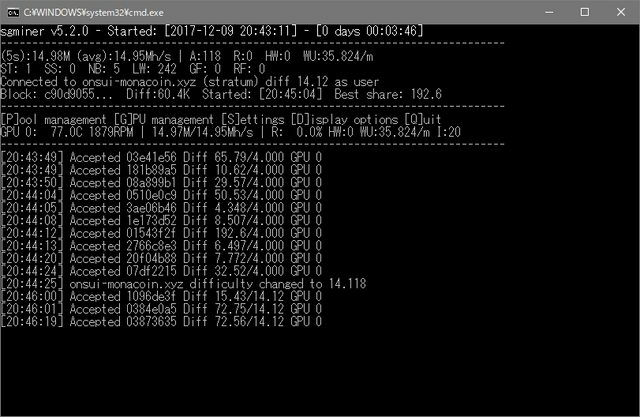 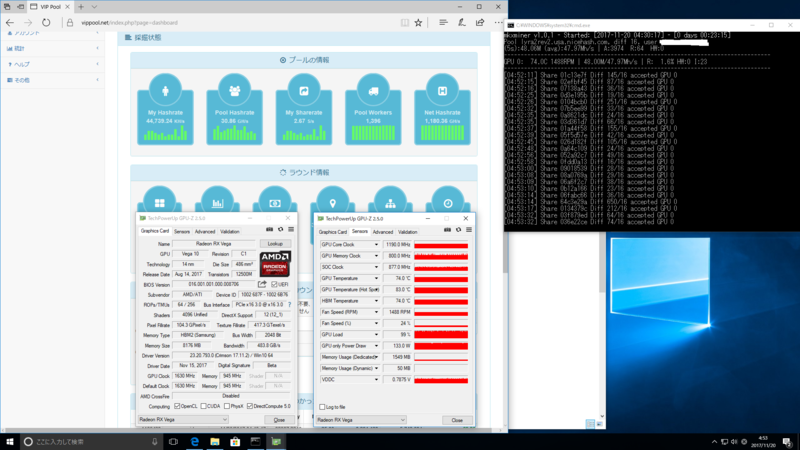 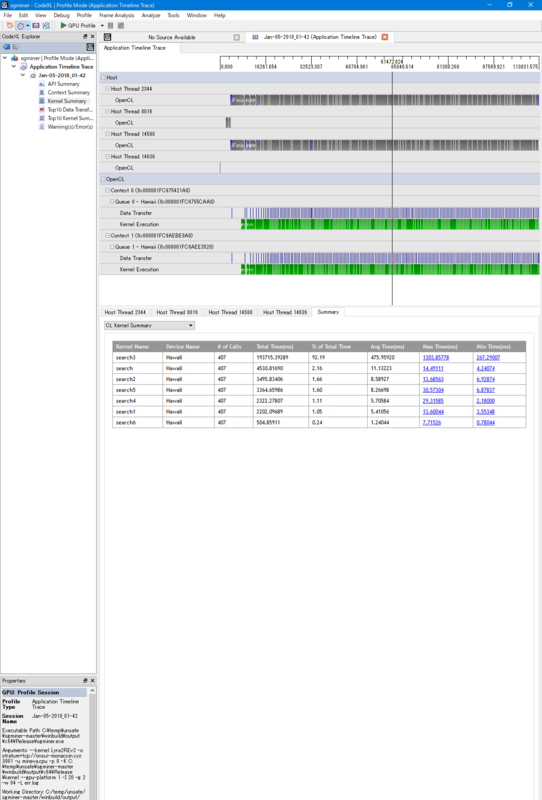 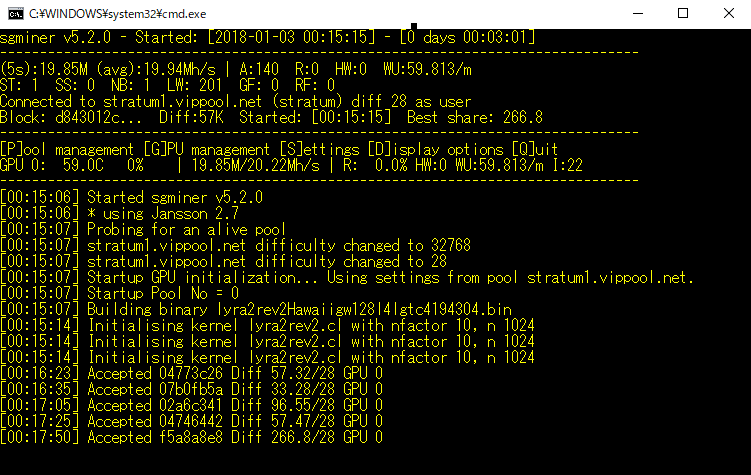 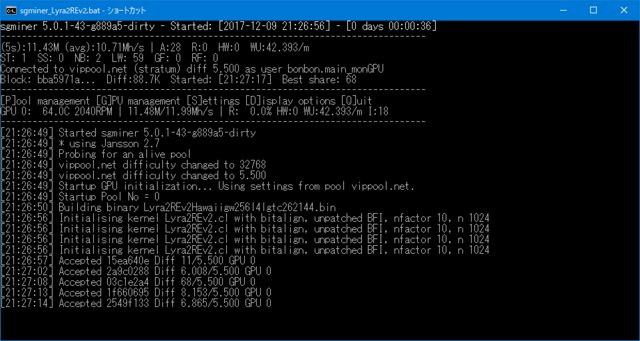 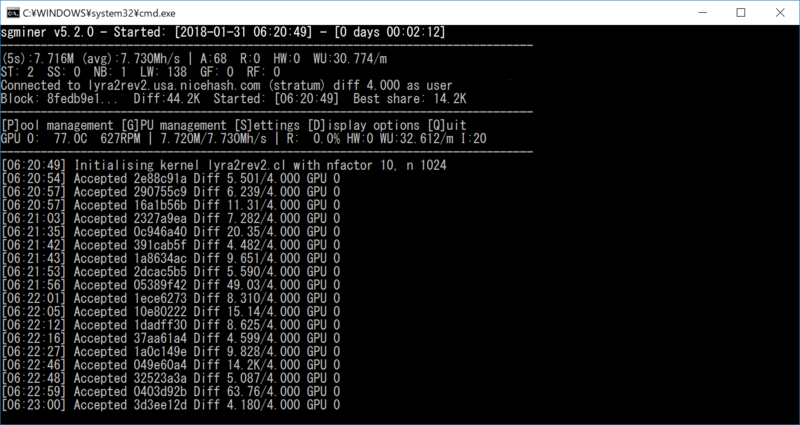 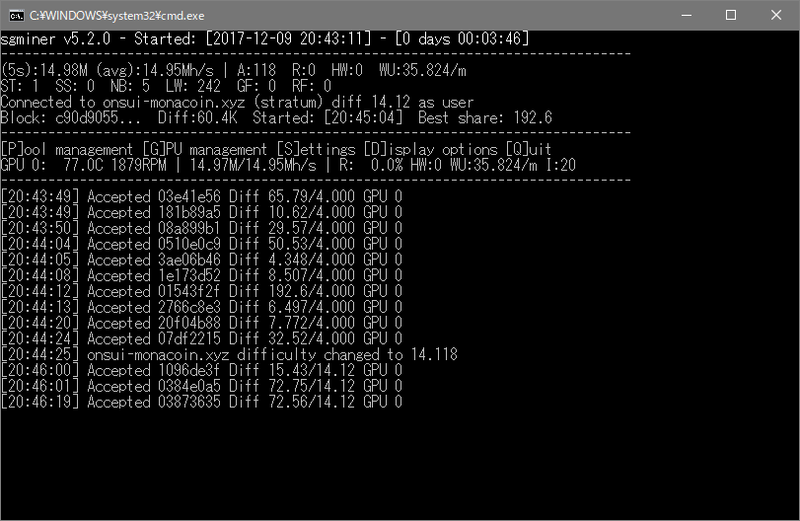 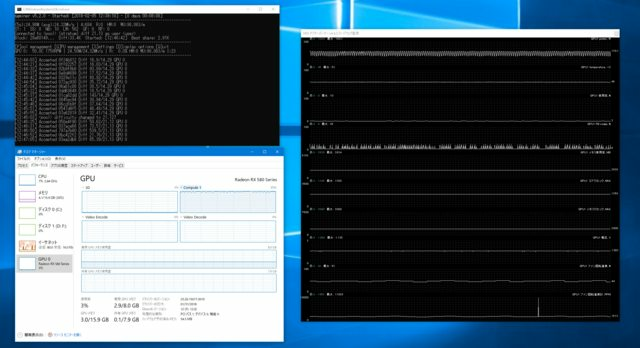 ping -a vippool.net | find "送信しています"
type C:\Windows\System32\drivers\etc\hosts | find "nicehash"
* Note: the actual mining speed is a bit higher as some of the hashrate is used as devfee. 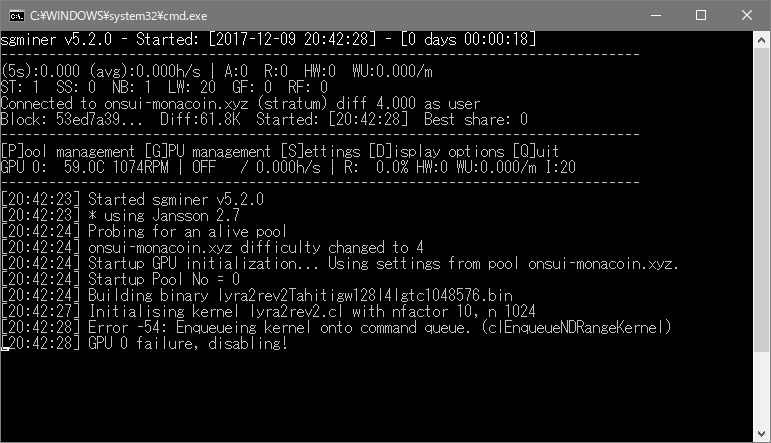 The above values are what you (the miner) gets. 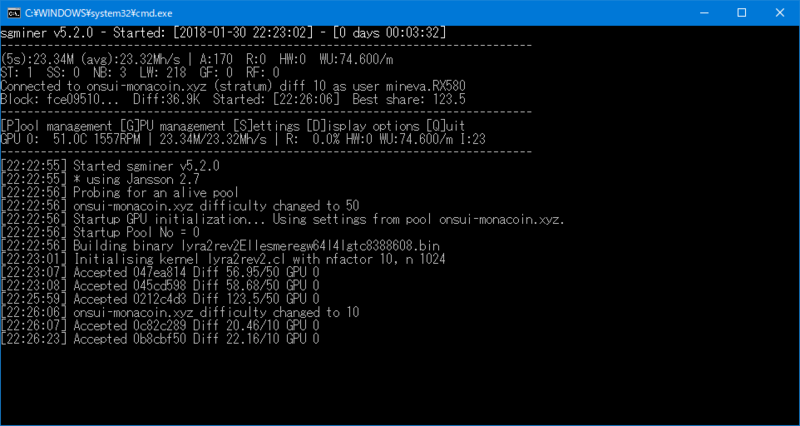 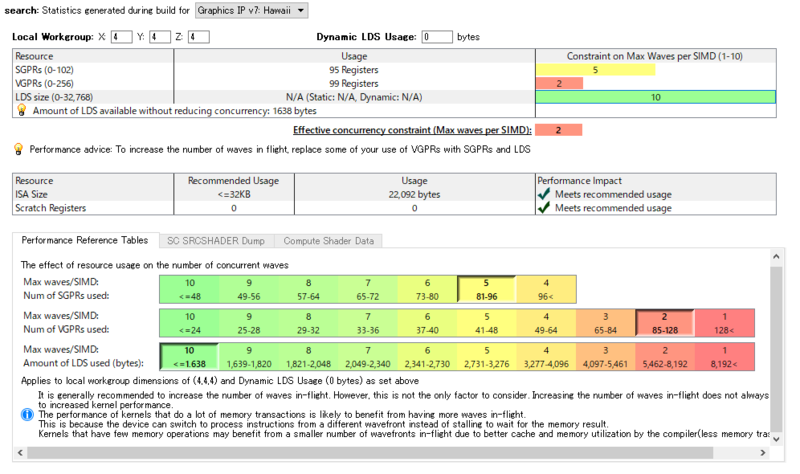 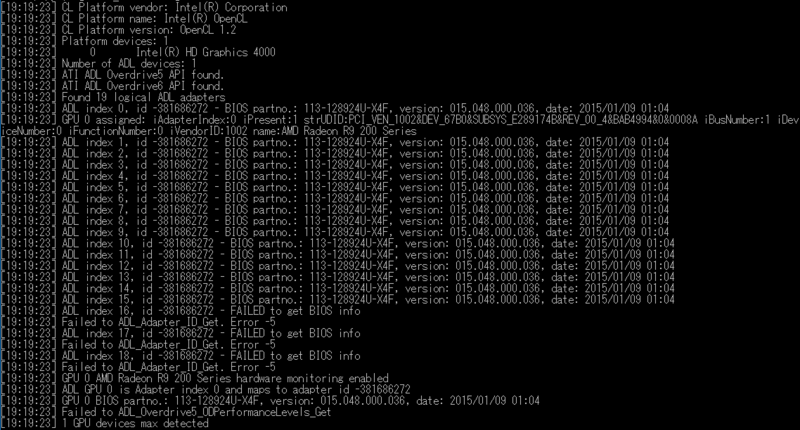 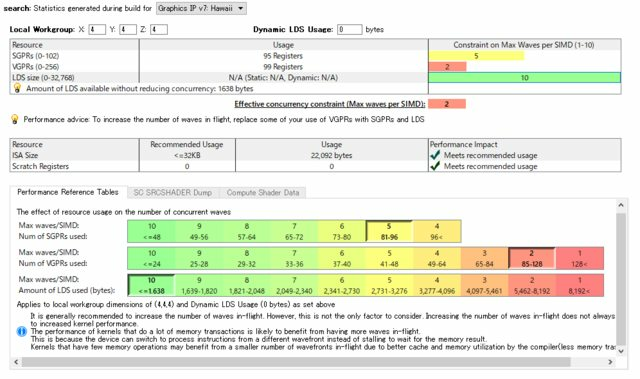 if you have 30MHs with 5% devfee, then effectively it is 28.5MHs for you (30 * (1.0 - 0.05)). 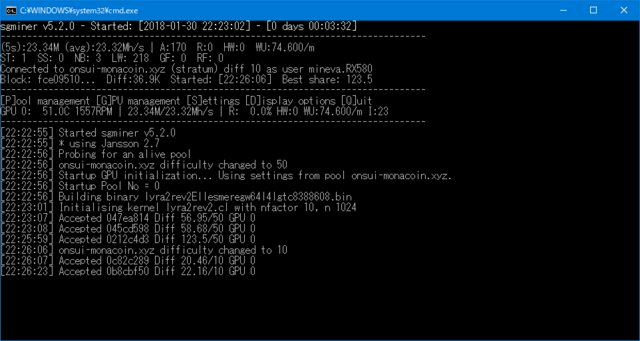 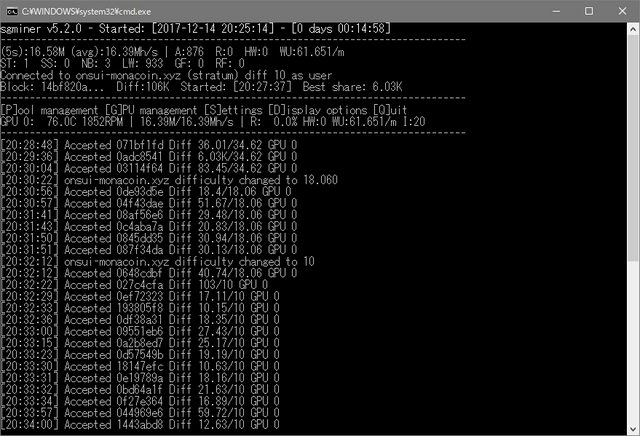 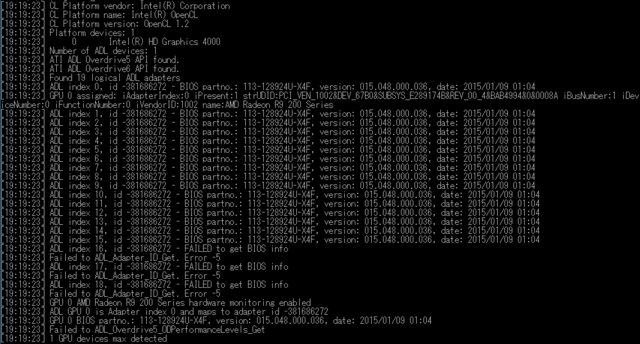 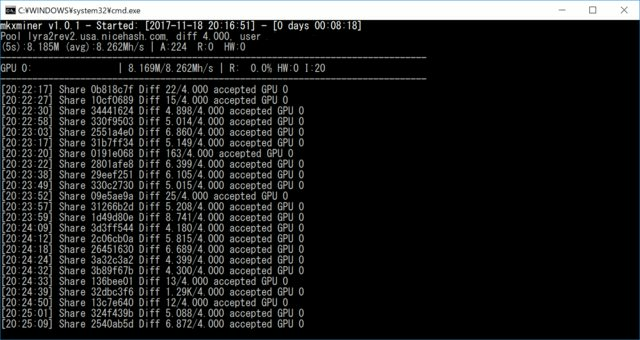 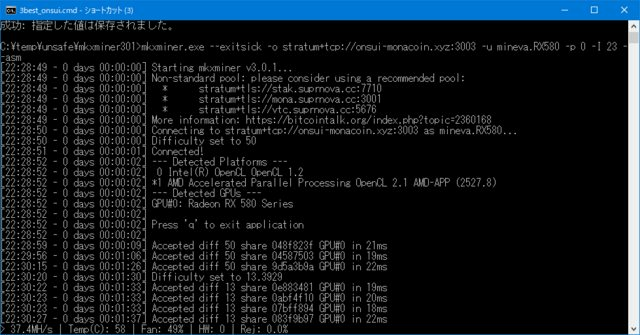 This miner shows you exactly the MHs that you earn, so devfee value is irrelevant. 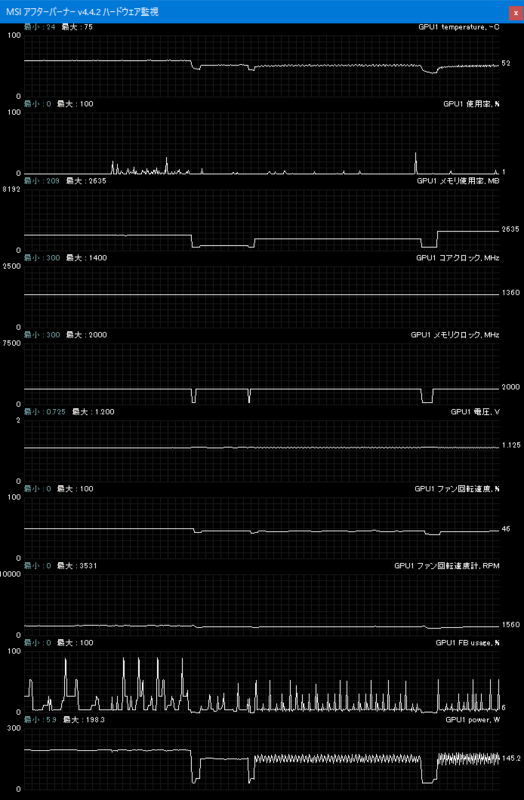 Increase intensity. 23 is recommended for 4GB+ videocards.